My sister gave me a fancy new camera for Christmas so I’ve decided to do Project 366 this year. As far as I understand at, all I need to do is take a photo everyday for a year. Sounds doable, although I can’t guarantee the quality of the photos or how interesting they’ll be. Let’s be honest, I also can’t guarantee I’ll get past the third week in January with this project but I’ll give it a shot. 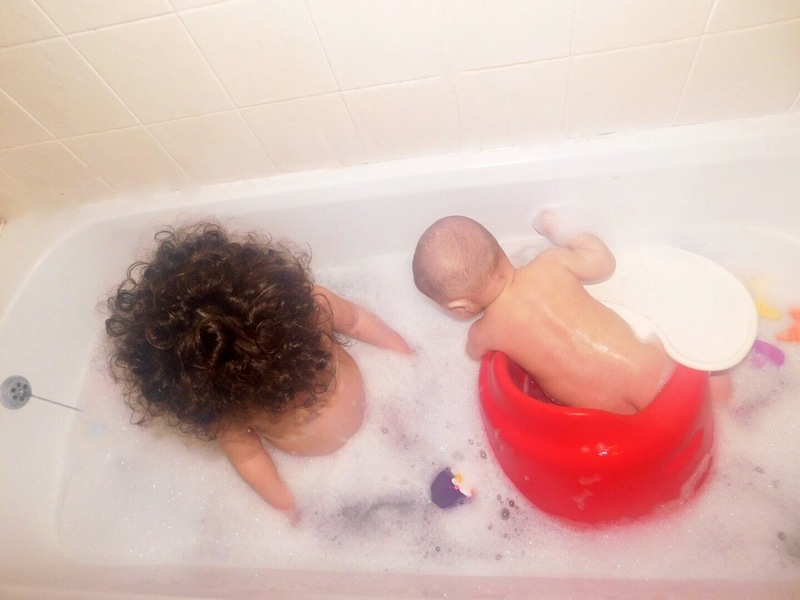 Believe me when I say, this was the best of a bad bunch of 73 photos I took of the kids in the bath. And the reason this was my subject matter is because I only decided to try Project 366 while they were in the bath at the end of the day. So it was either them or me in my pj’s and nobody needs to see that. Oh well, it can only get better!